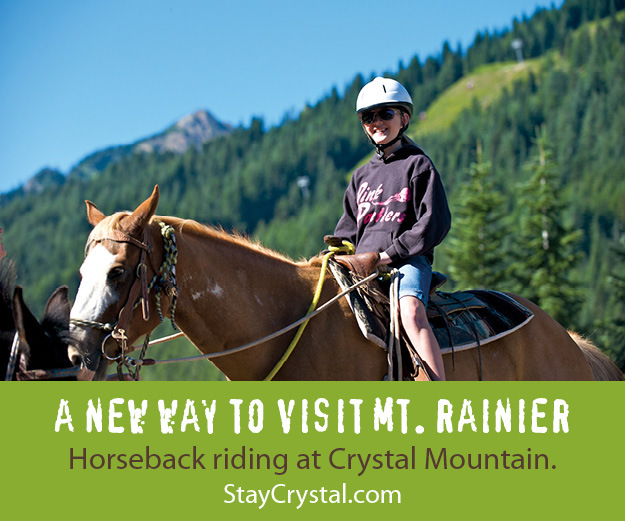 Accommodations at Crystal Mountain consist of well-appointed hotels and suites on the mountain and nearby lodges, cabins and vacation rentals so you can enjoy all of the year-round activities. Explore this page to find the type of lodging best suited for you. When making a reservation please be sure to say that you found them on GoNorthwest.com. Crystal Mountain Hotels provides slope side lodging and dining at Crystal Mountain Ski Resort. Located next to Mt Rainier National Park it serves as a memorable skiing and summer time vacation. The Alpine Inn Restaurant and the Snorting Elk Cellar & Deli provide the best Apres Ski and dining experience. The perfect year-round Crystal Mountain getaway. We're Crystal's only lodging with both a hot tub and heated pool (90 degrees in the winter), plus guests love our recreation lodge, evening activities (like bonfires & summer barbecues) and snowshoe and hiking trails. Charming suites and a romantic honeymoon cabin all have fireplaces, kitchens and so much more. We're tucked in the woods just a mile from the northeast entrance to Mt. Rainier National Park & 10-15 minutes from Crystal Mountain. Crystal Mountain Hotels. 33818 Crystal Mountain Boulevard, Crystal Mountain, WA 98022. Phone: 360-663-2262; Toll-free: 1-888-SKI-6400; Fax: 360-663-2394. Crystal Mountain Resort. 33914 Crystal Mountain Boulevard, Crystal Mountain, WA 98022. Phone: 360-663-3050; Fax: 360-663-3057.